Our handbell choir meets for rehearsal on Wednesday evenings at 6:00 p.m. Karla Casteen is director. For more information, you may contact her at 910-285-7694 or karla.casteen@gmail.com. 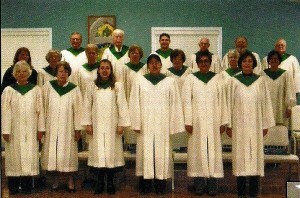 Our adult choir meets for rehearsal every Wednesday evening at 7:30 p.m. Karla Casteen, music director. Vera Coombs, organist. Contact Karla Casteen at 910-285-7694 or karla.casteen@gmail.com for more information. Anyone is welcome! Margaret Glasgow Class: meeets in room 307 in new building. Bible study using Uniform Lesson Series. Alternative Class: meets in room 304 in the new building. Class studies various topics, including Bible study, contemporary Christian issues, etc. Young Adult Class: meets upstairs in the Currie Building in the second classroom on the left on the western hall. Various Bible studies. Classes for pre-school through middle school use the Bible Quest curriculum which combines insights shared by nine denominations including the PCUSA. Fall quarter material includes Old Testament stories of God’s covenant relationship with all creation. Spring quarter lessons focus on the New Testament with stories of Jesus in the gospels, acts of the apostles, and letters of Paul. High school students use Bible Lessons for Youth, published by Cokesbury. The spring quarter emphasis is on God’s covenant with His people. Our food pantry is located on the first floor of the church office building (former manse). Food is provided in crisis situations to residents of Wallace, Teachey, and Rose Hill. The pantry is supported by donations from the congregation, area churches, civic clubs, schools, and the postal cariers each May. Workers are Art & Cheryl Raymond, Arnie & Joy Young, Tim & RJ Peppe, Lenny, Sandy & Vanessa Ward, Joe Tillman, Debbie Thomas, and Lee Baker. This joint effort among churches in the area fund and staff a centralized crisis ministry center in our community. A board of directors is composed of representatives from area churches and agencies that support the ministry. The ministry is located at 514 S. Norwood Street, Wallace, NC 28466. It is open on Tuesday and Thursday mornings from 8:30-11:30 a.m.
P.A.T.H. (Presbyterian Answer to Hunger) taken on the 1st Sunda of March, June, September, and December to support our presbytery’s hunger program. Souper Bowl of Caring: Sponsored by the Senior Highs, taken on Super Bowl Sunday, supports our Helping Hands Food Pantry. One Great Hour of Sharing: taken on Easter Sunday, supports the Presbyterian Diaster Assistance Program (members of our congregation benefited from this denominational program in the aftermath of Hurricane Floyd). Mother’s Day/Father’s Day for Presbyterian Homes of North Carolina: Taken on Father’s Day to support Presbyterian retirement homes. Thanksgiving Offering for Barioum Springs Home for Children in Barium Springs, NC: taken on the Sunday before Thanksgiving. Christmas Joy Offering: taken on the 2nd Sunday of December to support retired church workers and scholarship programs at the PC(USA) racial-ethnic colleges and universities. 5th Sunday Building Offering: taken on the 5th Sundays of the year, this offering is above and beyond any and all pledges to the annual budget or building fund. The money is applied directly tothe principal of the building loan. The building loan was paid in full at the end of 2008, so the fund now goes to any on-going renovation projects that are in place. This offering is taken every fourth Sunday and is combined with offerings from other churches in the Wallace, Teachey, and Rose Hill communities, to help pay for school lunches at area public schools for children whose families are experiencing economic hardship. 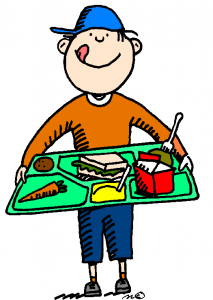 The offering also supports the weekend “Backpack Buddy” program which provides food for school children.